Find a vacation home to rent in Gubbio from our list of vacation rental properties. Campaya has over 22 vacation homes available in Gubbio, which give you the possibility to locate a unique accommodation in Gubbio which completes your check-list in search for the perfect self catering vacation apartments in Gubbio or vacation villas in Gubbio. Typical Umbrian farmhouse inside a private property of approx. 10 hectares situated at the foot of a hill. Particularly peaceful position. Beautiful, broad view of the valley and the woods. 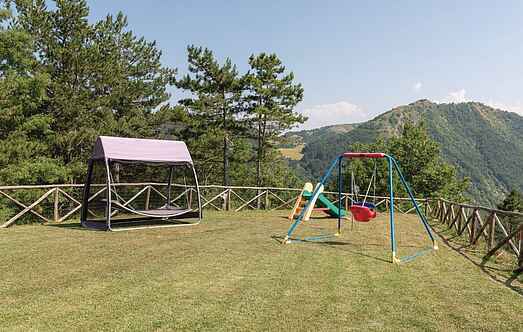 Typical holiday home made of stone with private pool at 3 Km from Gubbio, with panoramic view over the surrounding hills. This beautiful complex comprising of 2 traditional stone farmhouses has been restored and turned into 5 charming apartments. Nice complex comprising 2 beautiful stone farmhouses restored and turned into 5 charming apartments. The property is located in a very quiet and very scenic approx. 6 k from Gubbio. Nice holiday apartment on the ground floor of a beautiful country house immersed in the woods around Gubbio (18 km).